This is a reminder, we are hosting a seminar. Senior ranked instructors from our association will be going over the Seisan and Sanseiryu bunkai along with Ryukyu kata. All brown belts and above are invited. Please drink plenty of water to hydrate the day before. 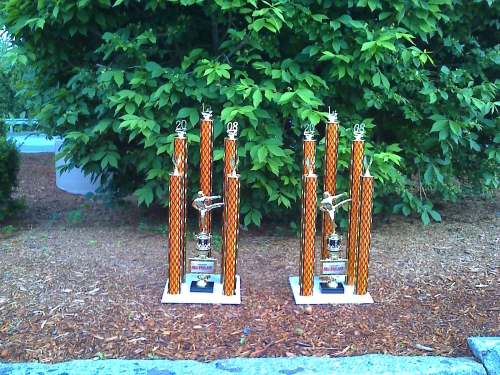 David took first place in kata and I in sparring. On the drive to the tournament David was was very serious about both of us winning first place. The desire to do his best really came through as he nailed a perfect Seisan. I did well against my opponent in continuous contact sparring and feel our training at IOK was great preparation.